When striving for a league title, it's important to win the matches that you're supposed to win. Estacada did just that in their Tri-Valley Conference home opener on Thursday night. 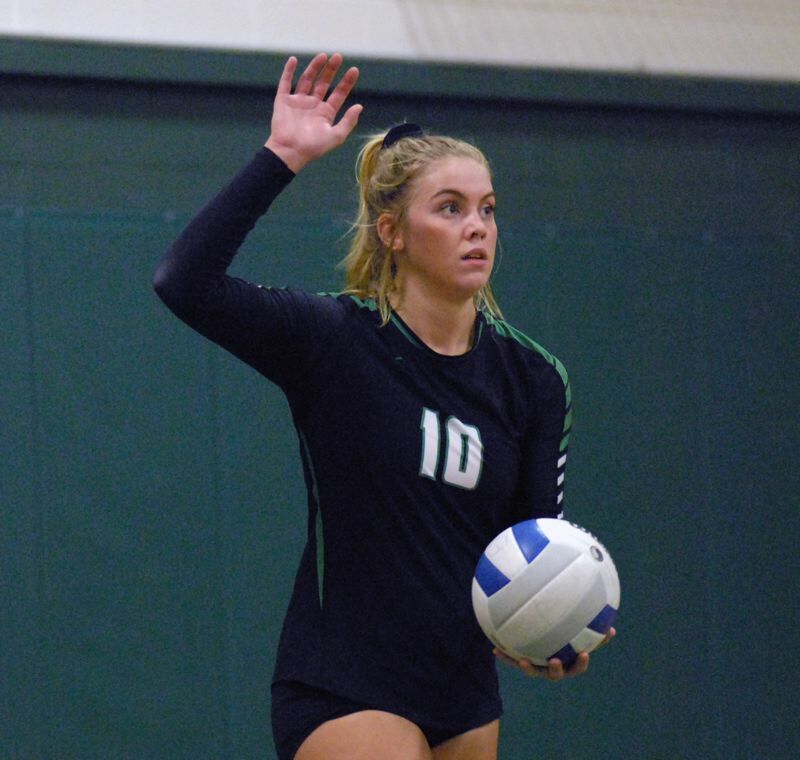 After being challenged a bit early in the first set, Estacada was able able to roll for the remainder of the match as they defeated Molalla 25-15, 25-16, 25-16. "I was very pleased with the way we played tonight," Estacada head coach Mike King said. "We took care of the things we were supposed to take care of. If we win the serve-pass battle, we're going to put ourselves in great situations." Molalla came into the match with just one win on the season and had lost each of their last six matches in straight sets. But the Indians appeared to be the more aggressive team in the opening set as they went on top 9-7. Even when an ace by Emily Gant and a pair of kills by Trinity Gach gave the Rangers the lead, Molalla wasn't flustered in the slightest as they got the game back within one point at 14-13. However, that was the time in the match when Estacada was able to flip the switch. Thanks to kills by Gach and an impressive ace by Izzy Hagel, the Rangers rallied to score the next eight points to take command of the set. "I felt like we were a little lacksadalsicle to begin the game, but then when one of us gets a big kill or something, it just pumps us up and gets the whole team going," Gach said. Estacada carried that enthusiasm into the second set to get out to a big lead. Hagel and Tessa Riedel each put away numerous kills and Gach had back-to-back aces to give the Rangers the 21-10 advantage. Look for extended coverage in the Sept. 27 print edition.